The eldest of Andrew Petrie's children, John Petrie was groomed from childhood to take over his father's business. John received formal schooling and later was trained in stonemasonry and carpentry. He also accompanied his father on expeditions around the colony - among other achievements Andrew and John were the first white men to climb Mount Beerwah in the Glass House Mountains. However, John's role increased earlier than anticipated by father or son. Andrew Petrie went blind in 1848 when John was 26, and although Andrew still held the reins of the Petrie business, John had to become much more involved. After his marriage in 1850 John and his wife lived close to the Petrie family house on Queen St. The business continued to prosper in the ensuing years as evidenced in the recent post about Andrew. In 1859 Brisbane was declared a municipality and nine elected men became the first aldermen. John Petrie was one of them and by virtue of having received the most votes he became Brisbane's first mayor. This election occurred only a few weeks prior to the proclamation of Queensland as a separate state, and when Governor Sir George Bowen arrived John was part of the official party that escorted him to Adelaide House (built by the Petries for Dr Hobbs) where the letters patent were read to the people of Brisbane. The Petrie firm tendered for and won the contracts to build some of Brisbane's most significant houses, such as Kedron Lodge, Oakwal, Eldernell and Toorak House. This meant that they were mixing with some of the most prominent citizens of the time. Not that everything was harmonious - rival contractor Joshua Jeays was also an alderman and was critical of some of the tendering processes that took place for council contracts. With Andrew Petrie becoming more unable to get around, the result of an old leg injury as well as his blindness, John resigned from the Council in 1868 to focus on the family business. 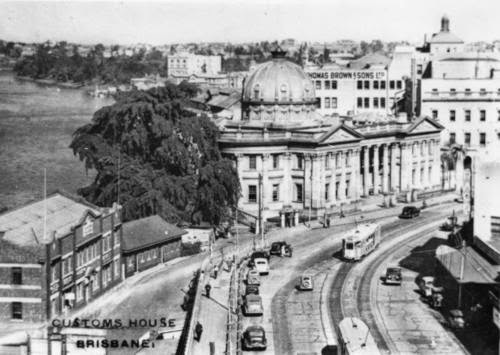 His firm won the contract for the new GPO to be built on the site of the Female Factory where he and the rest of the Petrie family had spent their first months in Brisbane. Andrew Petrie passed away in February 1872 leading to one of Brisbane's largest funerals to that time. Around the end of that decade, John and his family moved to their new home "Beerwah" on Gregory Terrace in Fortitude Valley. It was a large one storey house that unfortunately no longer exists, but it was situated across the road from the Exhibition Building. In its later years it became a boarding house. 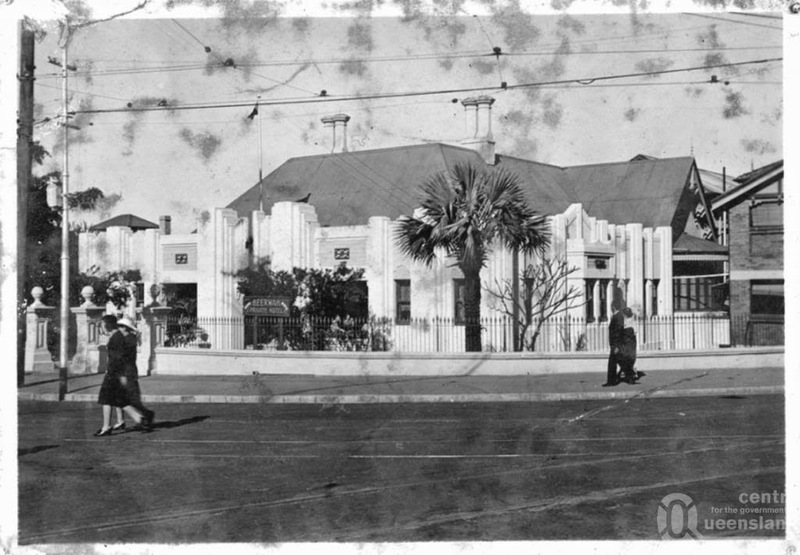 Here it is, photographed circa 1930. John Petrie seemed to have a very busy life even after his exit from politics. Amongst other appointments he was on the Brisbane Hospital Committee, he was a Justice of the Peace, he was a member of the Brisbane Licensing Board, trustee of Brisbane cemetery, director of several building societies and an active Freemason. Among his last major projects was the construction of the new Customs House, completed in 1890 and situated near the old family home at Petrie Bight. John Petrie died at the age of 70 in 1892, triggering another large Petrie funeral. The Brisbane Courier reported that "he left hardly an enemy in the city". Flags flew at half-mast as a salute to the former mayor, businesses closed in a mark of respect and a long funeral procession made its way to Toowong Cemetery. The Petrie business continued though. In family tradition John's oldest son Andrew Lang Petrie took over the reins of the business.